SP Das had recently filed a plea in the Meghalaya High Court attaching details of violations by the telecommunication companies in the state. This has lead to the High Court issuing orders to the state health department to find out the adverse impact of mobile tower radiation, if any, for people residing close to the mobile towers. After hearing the plea, the court had earlier summoned 3 telecommunication companies and also rejected an inspection report submitted by Telecom Enforcement, Resource and Monitoring (TERM) NE-1 director Kulwinder Kumar. It observed, “We do not find any information as to the limit of emission of radiation by the towers and the equipment being used for measuring the radiation before giving the findings that all the parameters are within the limit”. Terming the report as “evasive”, the bench directed the secretary, Telecommunication, to file his personal affidavit on the matter. 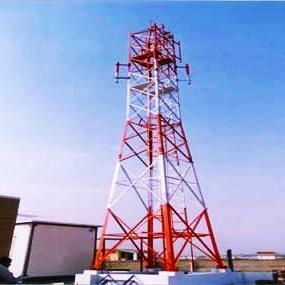 “The state government through the Department of Health shall conduct a survey to find out the adverse impact if any, on the health of people of localities situated near the towers in question as a result of radiation emitted by mobile towers,” a division bench of the High Court headed by Chief Justice Uma Nath Singh said in the July 15 order. The High Court bench also issued a notice to the secretary, Telecommunication, to file his personal affidavit on the matter, the next hearing of which will be held on July 29. Earlier, BSNL has clarified that India has stringent radiation measures for Mobile Tower Stations, and that there was No evidence-based conclusion has been reached yet on harmful effects of radiation.